What Are Douglas James Shower Pods Made Of? The unique sandwich contstruction of our modular shower pods is the result of painstaking research and development. It comprises of virtually indestructable multiple layers of advanced polymer, cast stone and timber, finally coated in a tough, easy-to-clean, antibacterial, brilliant white gelcoat finish. Marine grade chemical resistant gelcoat incorporating a blend of fine ceramic power for improved surface finish. Prevents ingress of microscopic water molecules. 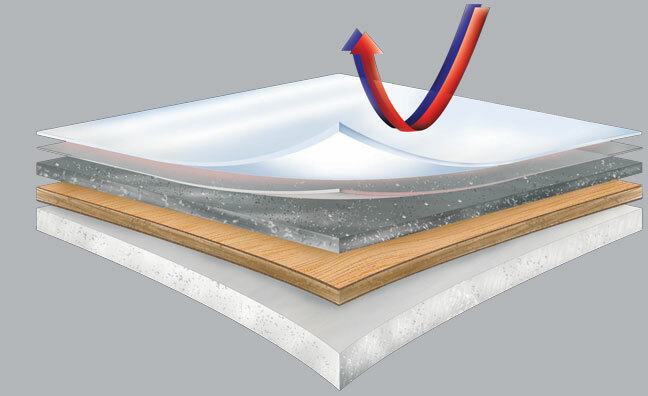 The Polyester polymer layer accomodates heat and temperature changes. This layer gives flexibility to the structure yet at the same time supporting layers 1 + 2. Plywood is laminated within all flat panels of our bathroom pods for rigidity. Thinkness will vary according to the location. Cast stone resin forces, encapsulates and completes the construction.